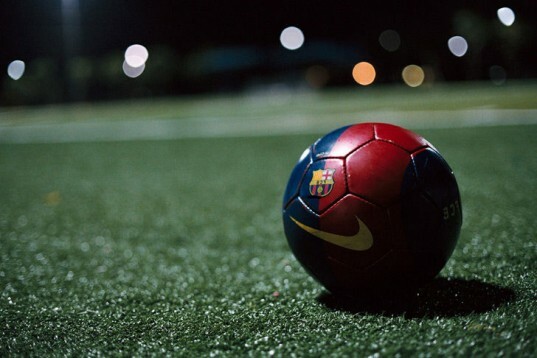 This summer, the World Cup 2014 will be taking place in Sao Paulo, Brazil; an event that is sure to be a media circus. And to kick off this circus (no pun! ), FIFA has decided to do something rather special. 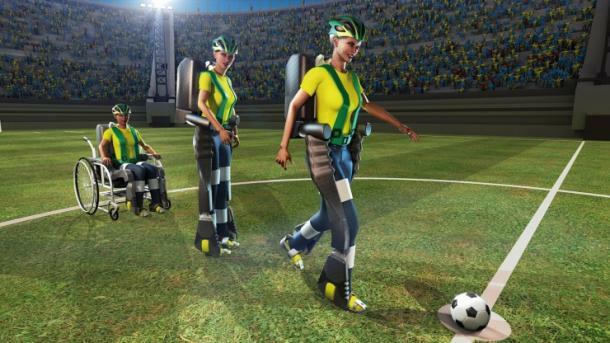 This will consist of a paralyzed teenager making the ceremonial first kick, courtesy of an exoskeleton provided by The Walk Again Project. In addition to opening the games, this even will be the first time that a mind-controlled prosthetic will ever be used in a sporting event. Though the teenager in question remains to be chosen, the event is scheduled and the exoskeleton tested and ready. 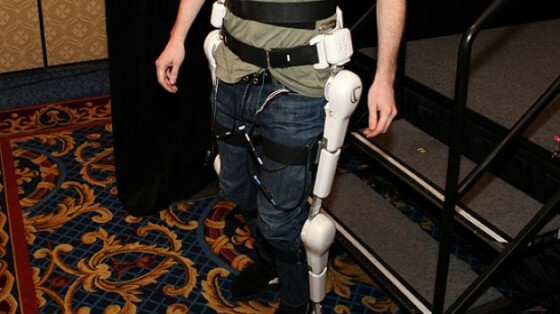 Using metal braces that were tested on monkeys, the exoskeleton relies on a series of wireless electrodes attached to the head that collect brainwaves, which then signal the suit to move. The braces are also stabilized by gyroscopes and powered by a battery carried by the kicker in a backpack. The Walk Again Project, a nonprofit collaboration dedicated to producing full-body mind-controlled prosthetics, represents a collaboration between such academic institutions as Duke University, the Technical University of Munich, the Swiss Federal Institute of Technology in Lausanne, the Edmond and Lily Safra International Institute of Neuroscience of Natal in Brazil, the University of California at Davis, the University of Kentucky, the Duke Immersive Virtual Environment facility. We want to galvanize people’s imaginations. With enough political will and investment, we could make wheelchairs obsolete. 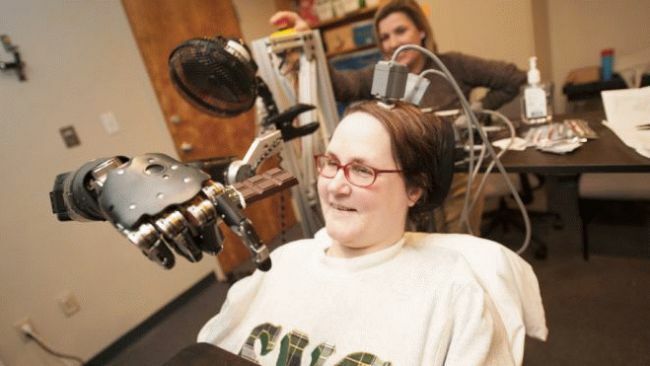 Nicolelis is a pioneer in the field of mind-controlled prosthetics. In the 1990s, he helped build the first mind-controlled arm, which rats learned to manipulate so they could get a drink of water, simply by thinking about doing so. In that project, an electronic chip was embedded in the part of each rodent’s brain that controls voluntary muscle movements. 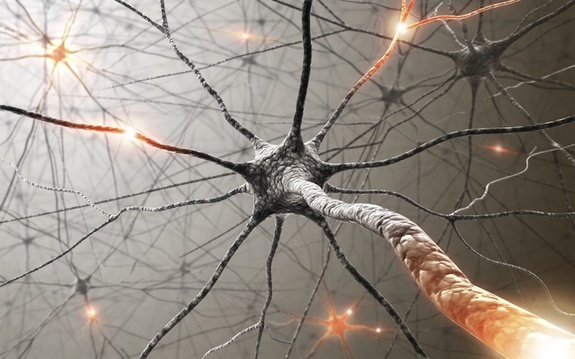 Rows of wires that stuck out from the chip picked up electrical impulses generated by brain cells and relayed those signals to a computer. Researchers studied the signals as the rats pushed a lever to guide the arm that gave them water, and they saw groups of neurons firing at different rates as the rats moved the lever in different directions. An algorithm was developed to decipher the patterns, discern the animal’s intention at any given moment and send commands from the brain directly to the arm instead of to the lever. Eventually, the rats could move the arm without pushing the lever at all. 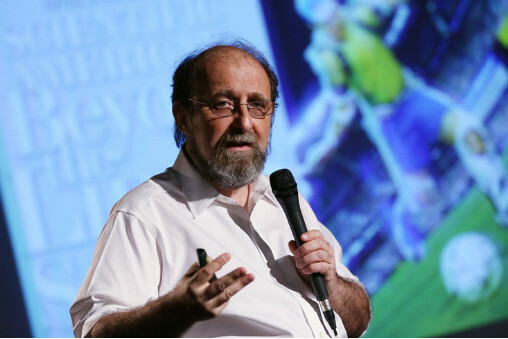 Using similar brain-machine interfaces, Nicolelis and his colleagues learned to translate the neural signals in primate brains. In 2000, they reported that an owl monkey connected to the Internet had controlled an arm located 600 miles away. Eight years later, the team described a rhesus monkey that was able to dictate the pace of a robot jogging on a treadmill half a world away in Japan. Small groups of neurons, it seems, are surprisingly capable of communicating with digital devices. Individual cells learn to communicate with computer algorithms more effectively over time by changing their firing patterns, as revealed in a study of a mouse’s brain published last year in Nature. This capacity for extensive plasticity and the ability to learn comes in quite handy when designing a prosthetic. The vibrations can replicate the sensation of touching the ground, rolling off the toe and kicking off again. There’s so much detail in this, it’s phenomenal. Capitalizing on that adaptability, several human quadriplegics have received implanted brain chips in FDA-approved clinical trials. One of the first was Matt Nagle, who lost the use of his extremities after being stabbed in the spine. With the aid of electrodes placed in his brain at Brown University in 2004, he learned to raise, lower and drop a piece of hard candy using a primitive jointed arm not connected to his body. In a widely publicized demonstration of that system, now owned by a company called BrainGate, a 58-year-old woman paralyzed by a stroke sipped a cup of coffee last year using a five-fingered robotic arm not attached to her body. Despite the slickness of the presentation, however, the woman actually had little control over the arm. Despite it being aesthetically pleasing, the design was a little rudimentary. However, things have come a long way since then thanks to ongoing research, development and testing. In Nicolelis’s lab, monkeys showed the ability to feel virtual objects displayed on a computer screen when areas of the brain associated with the sense of touch were stimulated. 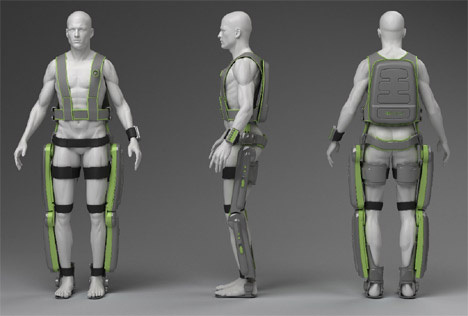 The blueprints for next summer’s soccer exoskeleton include similar sensors that will provide an artificial skin for its human wearer, thus ensuring that they can both move the device and receive sensory feedback. With the world watching, Nicolelis hopes not only that his “bionic teenager” will be able to feel the ball but also that disabled people everywhere will feel a sense of hope. And why wouldn’t they? In this single, incredibly high-profile event, millions of people around the world who struggle with disabilities will witness something truly inspirational. A paralyzed teenager will rise from a wheelchair, kicks the World Cup ball, and bring countless millions to their feet. What a great way to showcase these exoskeletons. It may even increase funding for research into them. That can only be a good thing, if you ask me. I agree. The more attention and exposure something like this gets, the better. Hey, I thought Israel had a hand in the exoskeletons. Did they have a hand in these exoskeletons? Not the Walk Again one, but they did invent the ReWalk. I asked that myself atone point until I checked my notes and realized the names sounded close. Now I understand the confusion. Thanks Matt.